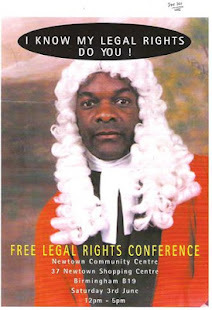 I was born of Jamaican and Nigerian Parents in 1958. Although brought up in the East End of London, at the age of 6 the family moved to Brixton South London. I have had an interest in radio from the age of 9, I visited the Radio Caroline Ship in July 1967 one month before they were closed down. At the age of 13 I went to Grammar School in Worcester where I was involved in a small internal radio. On leaving school at 16 I played in a group as a drummer and trombonist at a Pontins Holiday Camp for two seasons where I also gained valuable experience as a DJ playing to live audiences. I am trained as a business student and did my formal examinations in Shrewsbury and Hereford. Once again I helped to establish a low powered radio station which broadcast within the college grounds. After leaving college I was one of a group involved in setting up one of the first S.M. radio station in London - the original Radio Victor. At the same time, another group of us set up a M.W. Station (Radio Jackie) which I understand is at present the longest lasting land based pirate station in existence in the U.K. 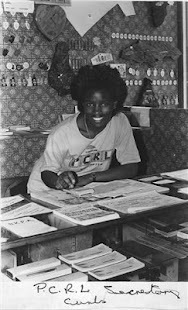 In 1975/6 I worked at BBC Radio London as a freelance broadcaster/researcher on the program "Black Londoners" with Alex Paskal. 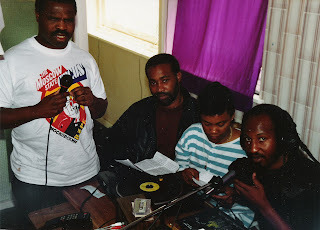 During this period, I also did a couple of programs aimed at black teenagers for Capital Radio. I came to Birmingham at the end of the Summer 1976 and worked at Birmingham Polytechnic from 1979/83. 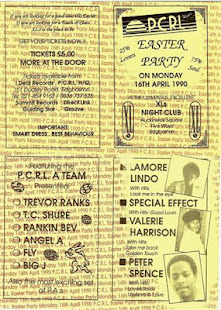 I discovered and subsequently joined PCRL in the Autumn of 1987. Originally a proud Londoner, Chicken now resides in Birmingham Uk [for now]! However, Chicken George gets everywhere - just speak to anyone in the know between Landsend and John O'groats and they'r more than likely to have heard of the legendary Chicken George [know to some as the UK's Stevie Wonder]!! Variety is the spice of life .... and variety in radio presentation is what Chicken George is all about. He started on a teenager's programme in the days of Capital Radio and has worked on hospital radio and specialist urban community radio stations in London and the midlands. 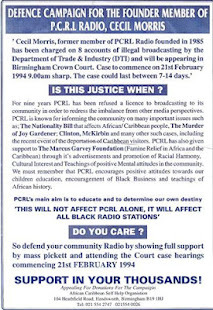 Chicken was one of the main stays of the daddy of all urban community stations - Birmingham's PCRL radio back in the 80's and 90's. George pioneered radio stations in Birmingham such as Lazer, 104 fm, Premier Radio and together with partners in London established the first Premier radio [not the Christian station]. Even after 30 odd years on radio, Chicken George says, "I love being on air and I like to learn new ways of entertaining people each day". 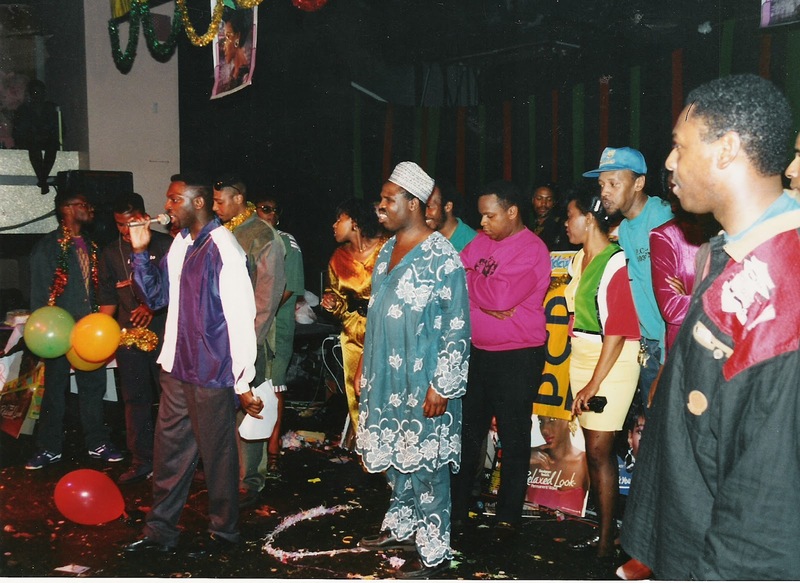 If you get a chance, check out Chicken George's 'Wake up call' on the fourth coming urban radio network (URN) which will be launched before Christmas 2007. George is quick, imaginative and an all-round entertainer with enormous appeal to families across the West Midlands, London and, soon to be the world! Wake up with Chicken George every morning; it will be the freshest, coolest and the most lively way to start your day. Brumies will tell you that the 'Wake up call' is Birmingham's hottest morning show with news, gossip, lively inspirational and confrontational debate, music and regular special guests passing through to tell Chicken all. 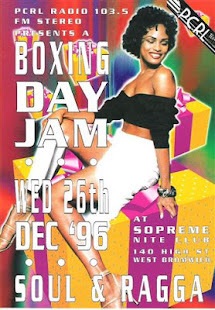 Notable past guests include Nelson Mandela, The Fugees, Shaggy, Beres Hammond, Frankie Paul and Lady Dianna Spencer to name a few. If you're an artist or a producer seeking exposure in the UK and beyond, simply message Chicken to get comprehensive promotion and air play across the Midlands and north of England. Have your material circulated to other DJs all over the UK via the most popular network of DJs and radio stations across the UK known as 'Hot on Road'. FAVE PASTIME - Simply living. 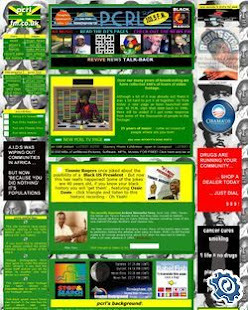 PROUDEST MOMENTS - Meeting Nelson Mandella, the Birth of son Nyeem [14 on 27 November 2006] and Daughter Anya [1 year and a bit]!! !